LOS ANGELES – Newcomers like “Fifty Shades Freed,” “Peter Rabbit” and “The 15:17 to Paris” breathed some fresh life into a marketplace that has for weeks been dominated by “Jumanji: Welcome to the Jungle,” “The Greatest Showman” and various Oscar contenders. But it’s all just setting the stage for “Black Panther,” which opens next week. “Fifty Shades Freed” managed to take the top spot on the charts in North American theaters. 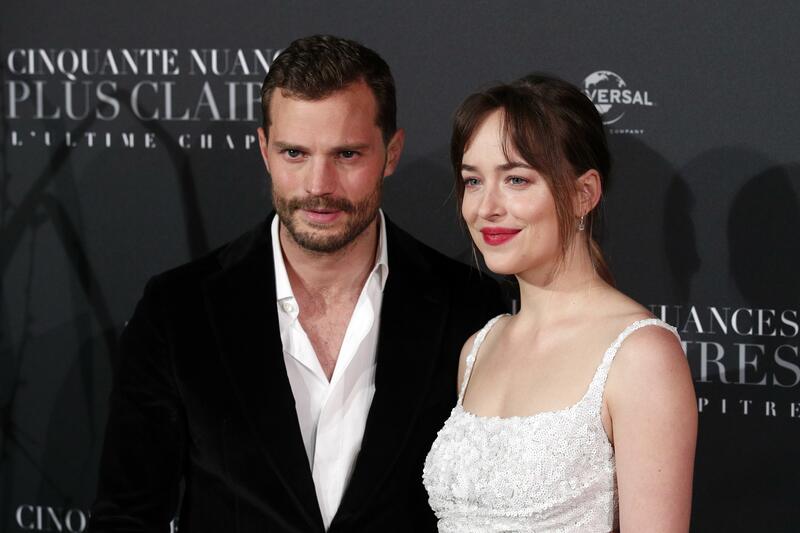 Universal Pictures estimated Sunday that the final chapter in the Christian Grey and Anastasia Steele saga earned $38.8 million over the weekend – down significantly from the first film’s $85.2 million debut and even the sequel’s $46.6 million opening, but enough to bump the three-film franchise over $1 billion globally. Women once again made up the vast majority (75 percent) of the opening weekend audience. Overall the marketplace is still down around 1.8 percent for the year and around 27 percent from the same weekend last year which, comScore senior media analyst Paul Dergarabedian notes, saw the launch of “The Lego Batman Movie,” “Fifty Shades Darker” and “John Wick: Chapter 2,” all of which opened over $30 million. 1. “Fifty Shades Freed,” $38.8 million. 3. “The 15:17 to Paris,” $12.6 million. 4. “Jumanji: Welcome to the Jungle,” $9.8 million. 5. “The Greatest Showman,” $6.4 million. 6. “Maze Runner: The Death Cure,” $6 million. 8. “The Post,” $3.5 million. 9. “The Shape of Water,” $3 million. 10. “Den of Thieves,”$2.9 million. Published: Feb. 11, 2018, 10:30 a.m.